SOUTH Grafton's unbeaten run continues but they were given a good scare by Sawtell in the process. Sawtell raced out of the blocks and tries from Chris Watkins and Todd Johnson had the Panthers leading 12-0 before the Rebels even got out of first gear. Once the Rebels hit their straps though, it was obvious to see why they're on top of the Group 2 table by a good margin. Plenty of pace and smart ball movement on the back of quick play the balls saw South Grafton score four tries in the space of quarter of an hour with Grant Brown, Theeran Pearson, Kieren Stewart and Jeff Skeen crossing the line. 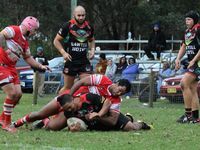 When Sawtell winger Etiveni Uhatafe scored two tries early in the second half the Rebels lead was cut back to six and there was some hope the Panthers could cause an upset. But when Hughie Stanley was put through near the posts followed moments later by a Nick McGrady try, the Rebels had wrapped up another two points. Results this weekend means the chances of this year's Group 2 grand final being an all Grafton affair are on the increase. Grafton Ghosts held on for a 30-28 win on home soil against Macksville to give the Ghosts clear possession of second place on the table. 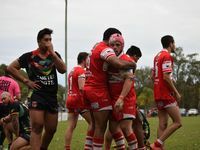 The lead the Ghosts have over Coffs Harbour is either three or four premiership points, depending on who you talk to after Saturday's controversial finish at Woolgoolga. 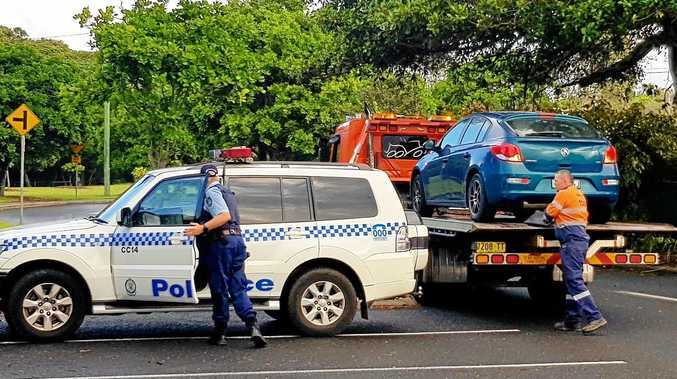 The Seahorses and Coffs Harbour were locked together at 28-all when time ran out but the hooter malfunctioned. Woolgoolga was awarded a penalty before time was up and rightly kicked for touch to make a last gasp attempt at victory. Reportedly there was no back up hooter and with the referee unaware of the commotion at the timekeeper's desk, play continued for more than one tackle and as a consequence the Seahorses popped over a field goal thinking it was the match winning moment. The final result will be decided early in the week. 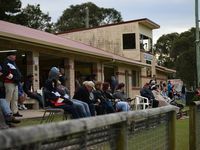 Nambucca Heads won its fourth game in a row when it overcame Orara Valley in a high scoring affair. The Roosters have now moved into fourth position on the table with the 48-38 win. The first time the tri-colours have been inside the top five all season. Who will win the 2016 Group 2 Rugby League First Grade Premiership? This poll ended on 15 August 2016.